Today’s SaveMore deal of the day is $24 worth of gourmet coffee for only $12. 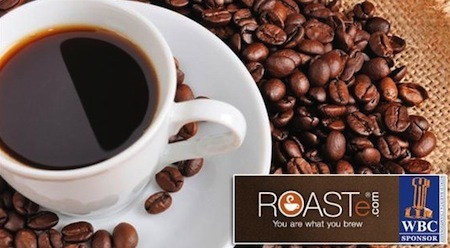 Roast-to-order gourmet coffee delivered right to your door. The world’s best specialty coffees. A Large selection with more than 1,000 artisanal and hard to find coffee brands. Special VIP Club program perks available. Vist: ROASTe.com. As a huge coffee lover, this is a deal I can’t pass up! Sign up at SaveMore and receive $10 just for signing up. I personally use SaveMore and to-date, am very happy with them. After you sign up you can have your friends sign up and get $10 for every friend that signs up and your rewards can be used with this already great deals of the day, to get even bigger savings! Expires April 25, 2012. Shipping and tax not included.